200 pages | 6 B/W Illus. Presenting original quantitative and qualitative data from a large-scale empirical research project conducted in British secondary schools, Reassessing ‘Ability’ Grouping analyses the impact of attainment grouping on pupil outcomes, teacher effectiveness and social equality. Redressing attainment grouping as an obstacle to raising pupil attainment, this book offers a distinctive, wide-ranging appraisal of the international field, new large-scale empirical evidence, and ‘close to practice’ attention to the practicalities and constraints of the classroom. 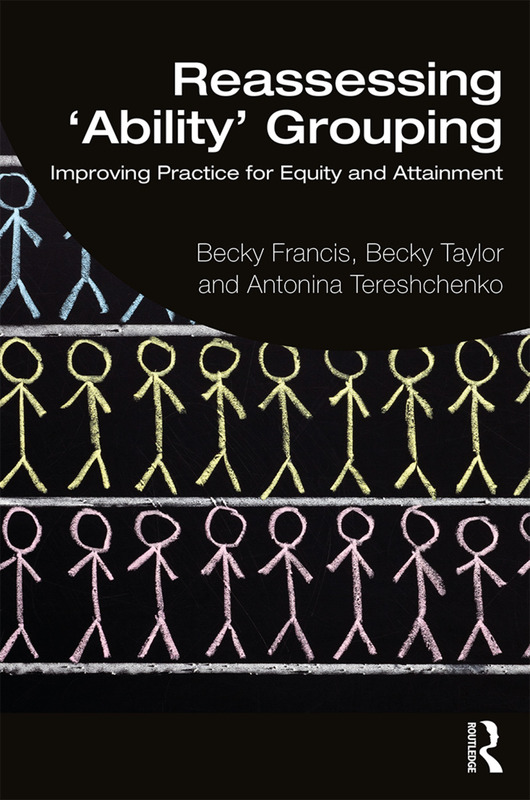 Reassessing ‘Ability’ Grouping is an essential read for any practitioners and policymakers, as well as students engaged in the field of education and social justice. Professor Becky Francis is Director of the UCL Institute of Education, UK. Dr Becky Taylor is Senior Research Fellow in the Centre for Teachers and Teaching Research, UCL Institute of Education, UK. Dr Antonina Tereshchenko is Research Fellow in the Centre for Teachers and Teaching Research, UCL Institute of Education, UK.